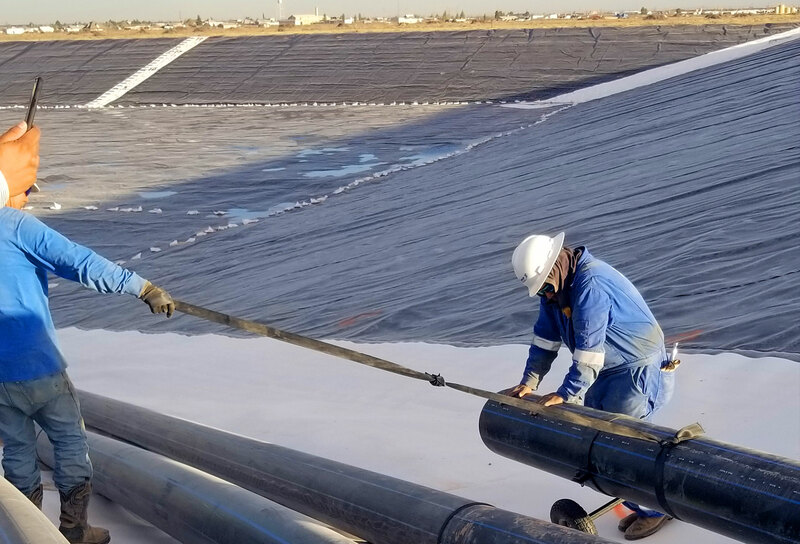 In addition to digging pits, Tanner Services provides professional pit lining services carried out by experienced personnel. 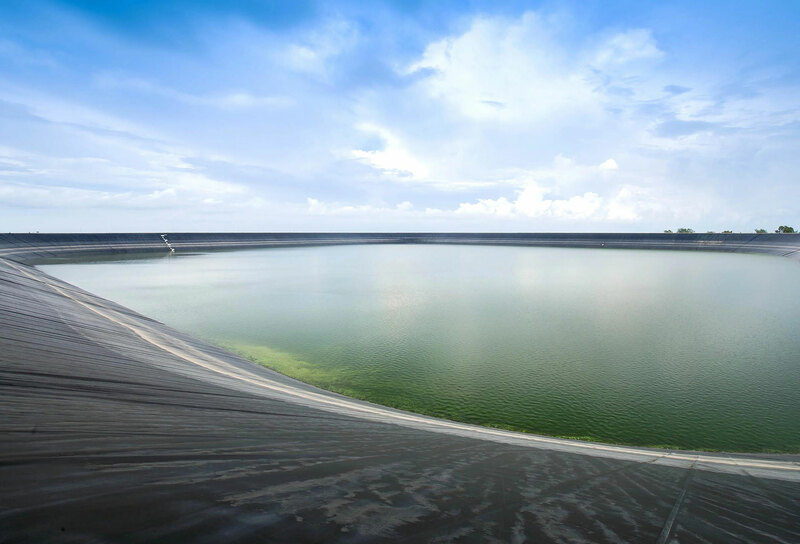 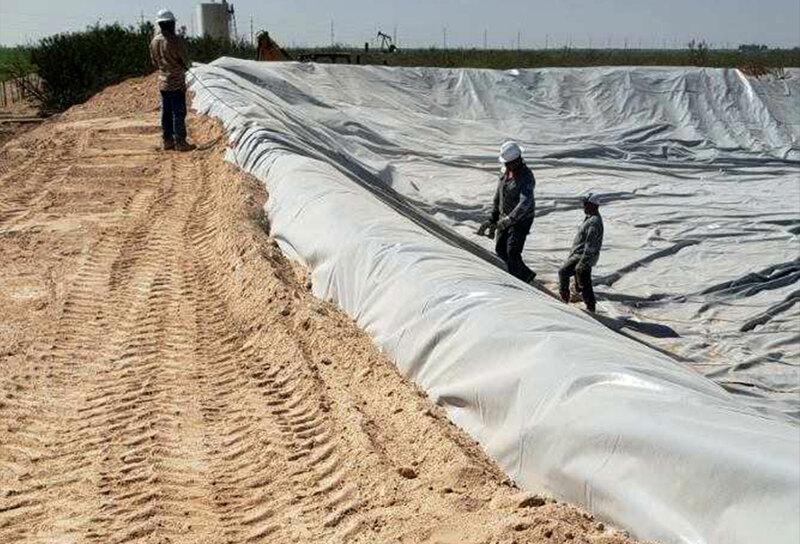 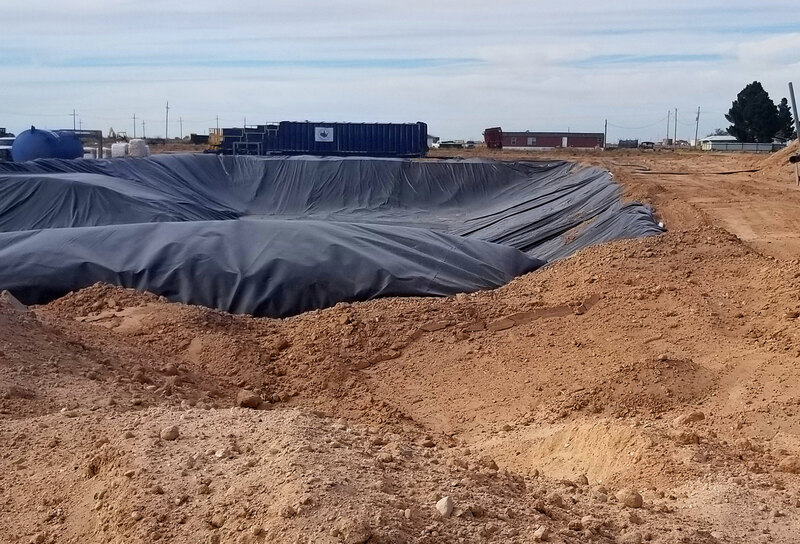 We offer up to 60mil polyethylene liners and provide pit lining for frac ponds, drilling / reserve pits, and secondary containment. 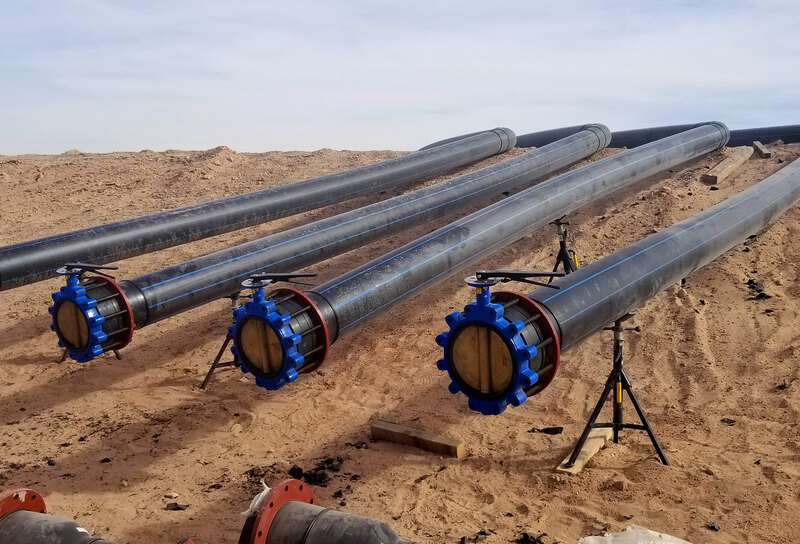 In addition to a large supply of poly pipe, we have all the additional items needed to complete the job, including poly welders for making connections, flow meters, T’s, transitions, and valves. 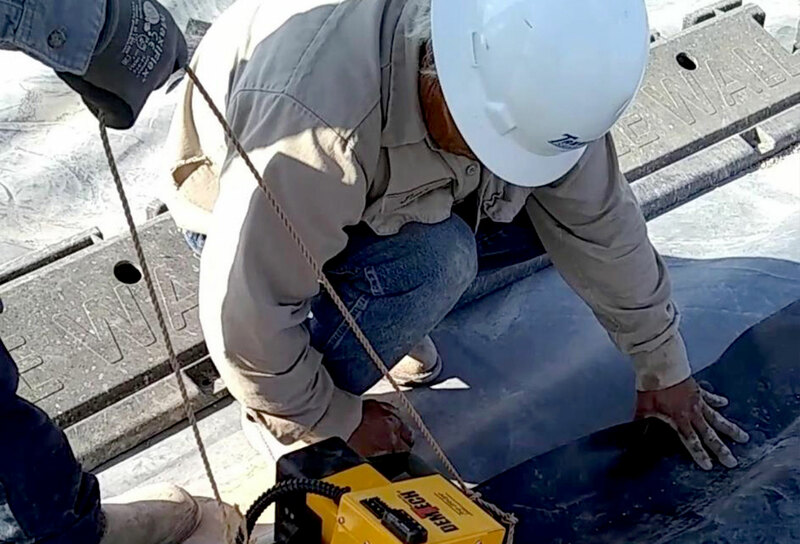 We have an inventory of poly reels that have been fabricated in-house. 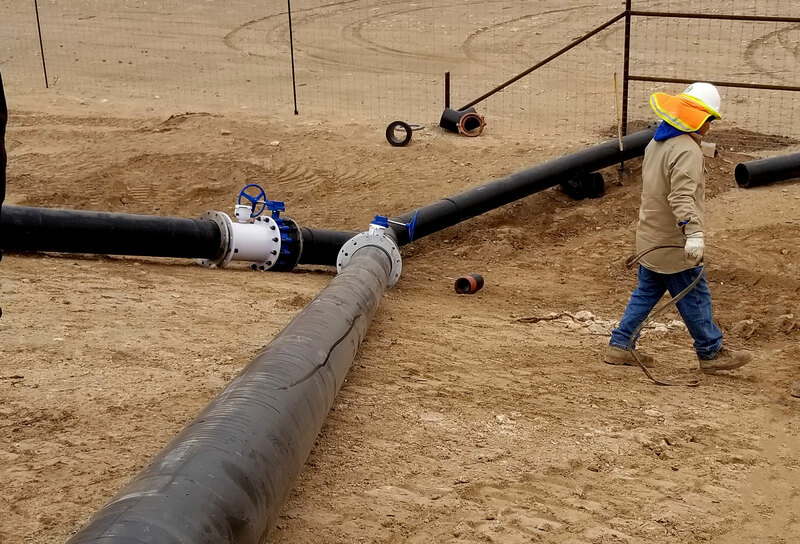 Our reels assist in quickly deploying poly pipe from a water source to a chosen destination. 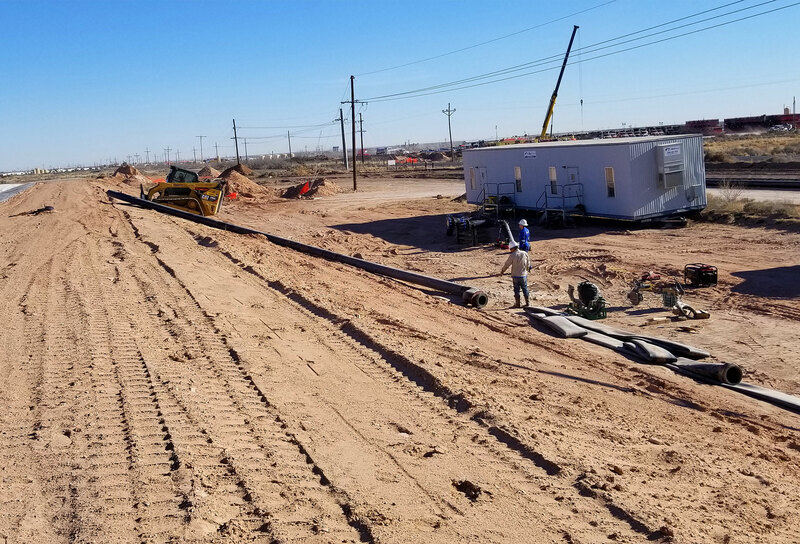 These are built to make sure that our employees have the ability to safely lay out a large span of poly pipe in as short of a time frame as possible. 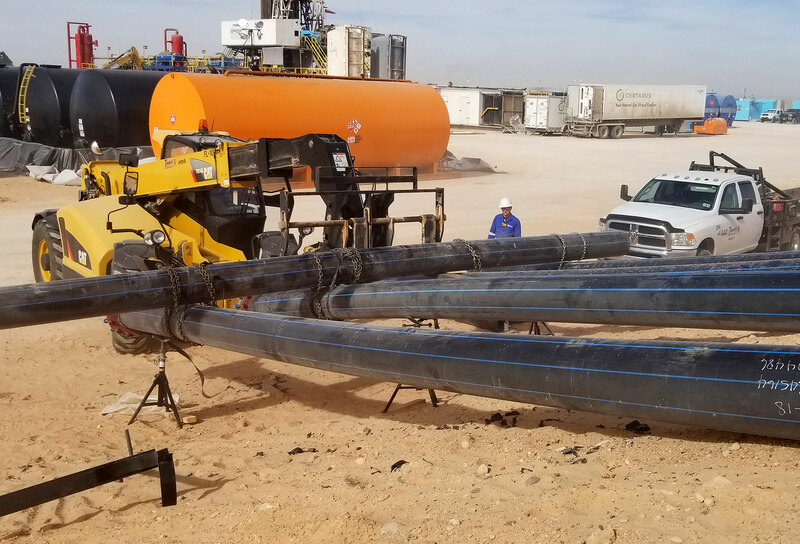 Tanner Services can supply everything needed to fulfill an entire rig up of poly pipe. 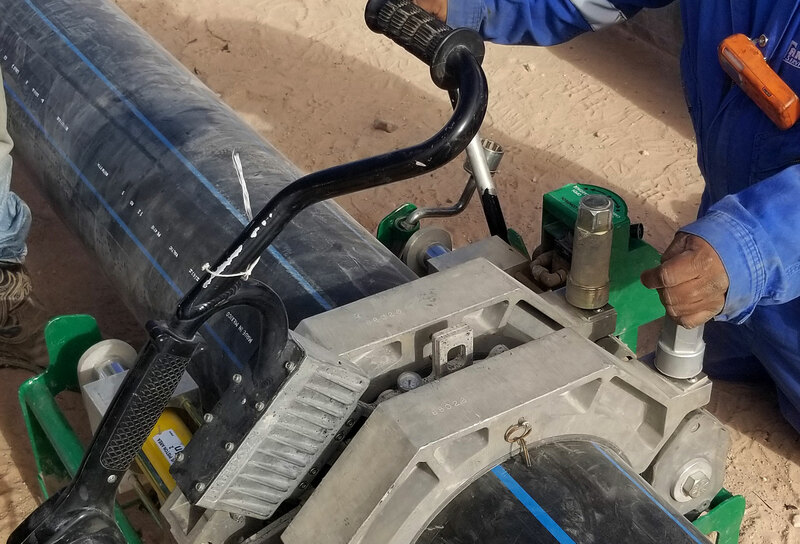 Tanner Service’s diesel driven poly pumps can be placed at nearly any water source and have the capabilities of pumping water long distances, while still maintaining an adequate flow rate. 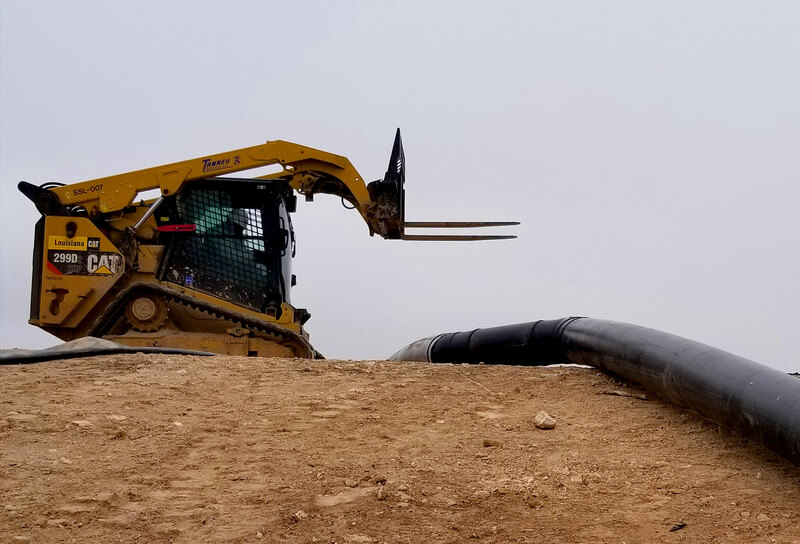 Our suction lines can be installed with floating suspension as well as sifting devices to reduce the possibility of debris and foreign objects from entering the pump. 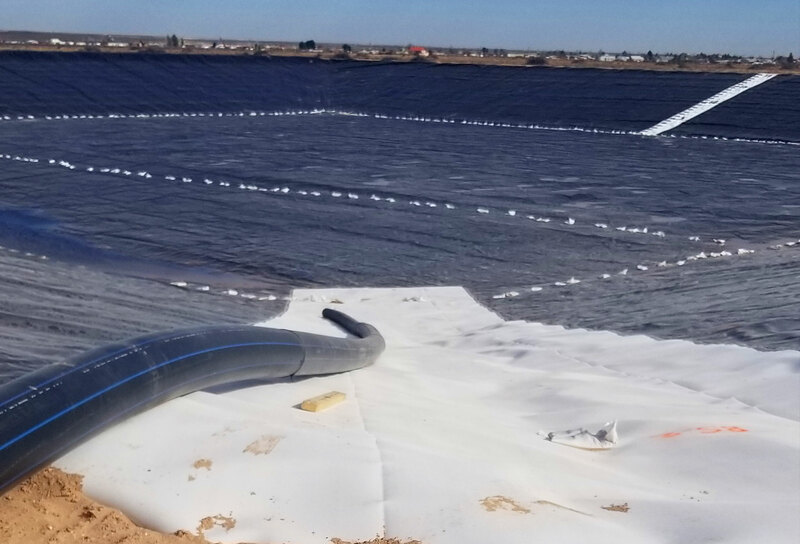 With environmental concerns being at the forefront, containments are placed under the pumps to ensure no diesel fuel gets entered into the water source.